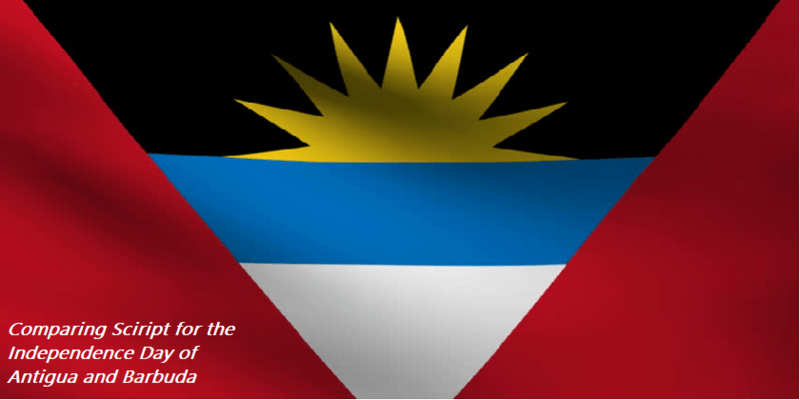 The people of Antigua and Barbuda commemorates the independence of Antigua and Barbuda on 1st November every year. Antigua and Barbuda got independence from the United Kingdom in 1981. Antigua and Barbuda is a small island country between the Atlantic Ocean and the Caribbean Sea. Moreover, it consists two major islands and a number of small islands. Christopher Columbus was the first person to sight these islands in 1493. Initially, English colonized it in 1632. In 1816, the colony was divided into two parts (with Montserrat, Barbuda, and Antigua as one colony). Eventually, it reformed in 1833 and existed until 1958. After the Second World War, the colonial system began to decline. In 1958, Antigua and Barbuda joined the West Indies Federation. The federation collapsed in 1962. Then, Antigua and Barbuda became a separate colony. In 1967, the islands became a state with the UK. On November 1, 1981, Antigua and Barbuda became a fully independent state. The independence day is now celebrated as a national holiday. The celebrations consist of a week of celebration, competitions, parades, and food fairs. Below, I have covered the Comparing Script for the Independence Day of Antigua and Barbuda. Hello and good morning, everyone. We hope you are all in good shape; doing well. The reason we all have gathered here is to celebrate the National Day which is one of the most important events that we celebrate. To start this beautiful day, please, stand up for the National anthem and flag ceremony. At this point, we would like to call upon our little faires. So, put your hands together for our little dancers who have worked so hard to welcome you all. Whoa, it was a splendid performance. We are sure that their performance pleased you. We hold these truths to be self-evident: that all men are equal; that they are endowed by their Creator with certain unalienable rights; that among these are life, liberty, and the pursuit of happiness. Moving forward, we want (name of the speaker) to be present on the stage for his speech. Ladies and gentlemen, real life is very messy, and drama is the shaped version of the real life. In fact, the drama is very important in life: You have to come on with a bang. You never want to go out with a whimper. Therefore, our students have prepared a drama that illustrates our current situation. So, to call them on the stage give them a big round of applause, please. Thank you, guys, for such a great performance and fine illustration. At this time, we would bother the person without whom it’s impossible to make sure quality education in our institute. We all appreciate his hard work, sincerity, and dedication towards this school/college. Unfortunately, the time\day has come to its end. But before, we wish you all happy independence day\ Independence day. Besides, health, peace, happiness, and success. Have a great time! So, this was the Comparing Script for the Independence Day of Antigua and Barbuda. Please, feel free to share your views in the comment section below.